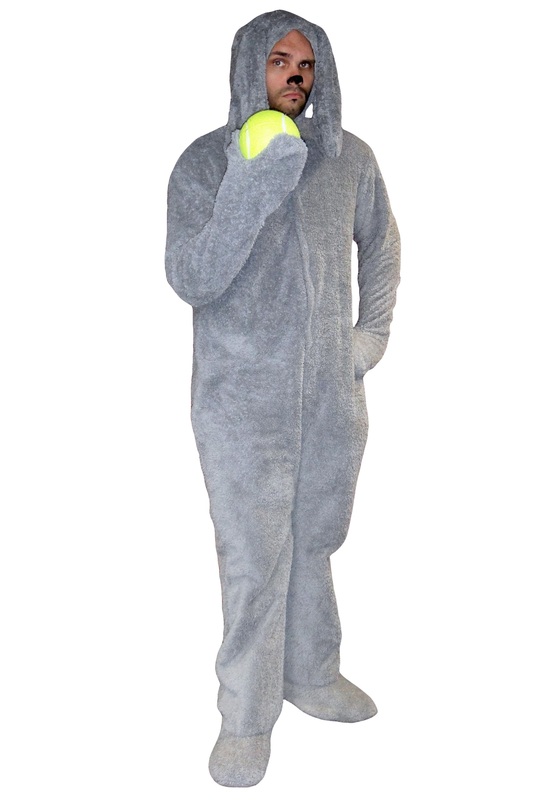 Get a look straight out of the Wilfred TV series when you wear this Wilfred costume. The hooded jumpsuit is made of gray 100% polyester microfiber faux fur, with as soft jersey knit lining, and fastens with Velcro strips at center front. Both hands and feet are enclosed, but there are slits at the wrists and ankles so that the mitts and booties can be slipped off if desired. A tail is sewn to the back of the suit. Finish off your look with a tennis ball and black makeup to paint your nose. No one will see you the same way when you wear this licensed Wilfred costume!